In brief, Undelete 360 is one of the recommended programs to use for restoring deleted from your PC or other portable storage medium such as flash drive and digital camera. 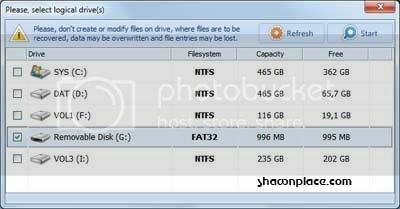 Basically, this program built on a fast and efficient algorithm that able to browse, search, and recover files. Moreover, it supports both file recovery and folder recovery. Most importantly, it is completely free and no advertisements as well as features limits. Next Post How to replace iTunes Dock to cover art ?